Coolant (or antifreeze) protects your engine from freezing while defending components against corrosion. It plays a critical role in sustaining engine heat balance by removing heat. In a heavy-duty diesel engine, only one-third of the total energy produced works to propel the vehicle forward. An additional one-third is removed as heat energy by the exhaust system. The remaining one-third of heat energy produced is taken away by the engine coolant. This heat removed by the coolant provides a balance in the removal of engine heat that is critical in ensuring that the engine operates properly. Overheating could result in accelerated deterioration of the oil and the engine itself. While water provides the best heat transfer, glycol is also used in engine coolants to provide freeze protection. The addition of glycol slightly reduces the heat transfer of the water, but in most climates and applications, freeze protection is critical. Nearly all engines use coolants with similar base fluids: a 50/50 mix of ethylene glycol and water. In some circumstances, industrial engines may use other base fluids, such as additized water or a mixture of propylene glycol and water. In addition to the base fluid, there are a small amount of other ingredients including corrosion inhibitors, antifoams, dyes and other additives. While these other ingredients make up only a small fraction of the coolant, they are what differentiate one coolant from another. 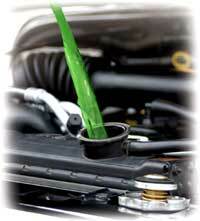 Historically in North America, conventional engine coolants have been green in color. Currently, these green coolants typically use a phosphate/ silicate mix as the main components in their inhibitor system. Conventional inhibitors like silicates and phosphates work by forming a protective blanket that actually insulates the metals from the coolant. These inhibitors can be characterized chemically as inorganic oxides (silicates, phosphates, borates, etc.). Because these inhibitor systems are depleted by forming a protective layer, conventional green coolants need to be changed at regular biennial intervals, typically every two years. Diverse technologies have been developed to protect engines from corrosion. In Europe, problems with hard water minerals forced coolant technologies to be phosphate-free. Calcium and magnesium, minerals found in hard water, react with phosphate inhibitors to form calcium or magnesium phosphate, which typically leads to scale formation on hot engine surfaces. This could lead to loss of heat transfer or corrosion under the scale. To replace phosphates, conventional European coolants contain a mix of inorganic oxides like silicates and inhibitors called carboxylates. Carboxylates provide corrosion protection by chemically interacting at the metallic corrosion sites, rather than by forming a layer of inhibitors that cover the total surface. The mix of carboxylates and silicates is also called a hybrid technology because it is a mix of conventional inorganic technology and fully carboxylate or organic technology. European engine coolants exist in various colors; typically each manufacturer requires a different color. Miles Using Extended-Life Coolant (ELC). 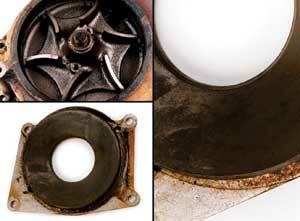 In Asia, problems with water pump seals and poor heat transfer have led to the ban of coolants containing silicate. To provide protection, most coolants contain a mix of carboxylates and inorganic inhibitors like phosphates. These coolants are hybrids. They are distinct from the European hybrids due to the lack of silicates. Coolants from Asian OEMs can be a variety of colors including red, orange and green. Extended-life carboxylate-based coolants were developed to be globally acceptable and provide superior performance over existing technologies. This technology is also known as organic additive technology (OATs). Because full carboxylate coolants have no silicates, they meet the stringent requirements of the Asian specifications. They also meet the European antifreeze requirements because they have no phosphates. These engine coolants have developed international popularity due to having an unsurpassed corrosion protection for extended time intervals. It is worth noting that some people refer to these as “organic additive technology” (OAT) because the inhibitors which provide the corrosion protection are derived from carboxylic acids. In actuality, the protection is provided by neutralized carboxylic acids called carboxylates. This distinction is important because all coolants operate in the neutral or basic pH range (pH equal to or greater than 7). In fact, most coolants are made beginning with an acidic precursor, for example, conventional coolants based on phosphate start their lives as phosphoric acid. Carboxylate inhibitors provide corrosion protection by chemically interacting with the metal surfaces where needed, not by universally laying down layers, which is the case with conventional and hybrid coolants. The implications of this functional difference are enormous: extended life cycles, unsurpassed hightemperature aluminum protection, as well as heat transfer advantages on both hot engine surfaces and heat-rejecting radiator tubes where heat transfer is critical to optimal performance. 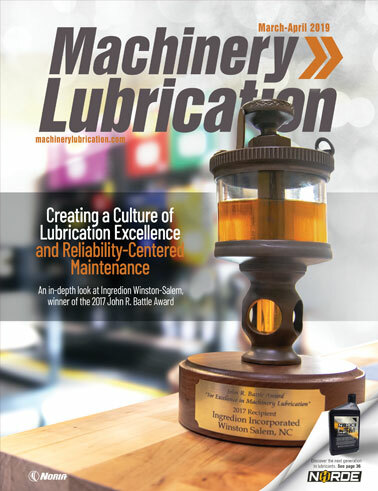 Highquality carboxylate-based coolants have demonstrated performance of more than 32,000 hours in stationary engine applications without being changed. One measure of true extended life performance is that at the end of a fleet test, the used coolant can be removed from the engine and still successfully pass tests designed for fresh coolants! The aftermarket is filled with high and low-quality coolants of all colors; therefore, color is not a good indicator of the type of coolant. The best maintenance practice is to know the exact coolant required for and placed into an engine, and to control any fluid used to top-off the equipment. Although many techniques are available, a refractometer should be used to measure the glycol water ratio because it offers the most reliable method to identify the precise glycol content of the coolant. This determines the level of freeze protection and ensures the proper concentrations of corrosion inhibitors. Another preventive maintenance measure includes checking the cooling system itself to confirm that it is full and operating properly. Operating with low coolant can lead to many problems because a coolant cannot protect surfaces that it does not contact, and glycol water vapors can be corrosive. Just checking an overflow tank that is not part of the flow system can be misleading if the system is not working properly. Also, the radiator cap itself can be an integral part of the system if it is designed to hold a specific pressure. These caps may be tested to determine whether they are holding the proper pressure, which is key to the smooth operation of the system. If system pressure is operating lower than designed, the coolant will boil at a lower temperature. Rapid boiling (known as film boiling) can lead to severe corrosion due to hot spots and improper engine coolant contact. Lots of misinformation about the compatibility of the different types of coolant technologies exists in literature and the marketplace. While it is not good maintenance practice to mix two different coolants, it will not result in compatibility issues as long as coolants from high-quality, reputable suppliers are used. Coolants are generally considered to be compatible, however, mixing coolants of two different qualities results in a mixture of intermediate quality. While not a disaster, mixing a great coolant with a mediocre coolant will result in a coolant with something of less than great performance. Overdilution with water would have a negative effect, because the corrosion inhibitors would be present in the engine at quantities lower than originally designed. Coolants work over a range of dilutions. The optimum for most coolant systems is 50 percent coolant and 50 percent good-quality water, and in general coolants tolerate dilution down to about 40 percent concentrate and 60 percent water. Generally, coolant degradation is accounted for in manufacturers’ “recommended use” intervals. Conventional coolants containing silicates degrade primarily due to rapid inhibitor depletion. This is because silicates lay down protective layers over the system components as part of their protection mechanism. Therefore, coolant inhibitors must be replenished or changed regularly to ensure the surfaces will remain protected if the silicate layer is disturbed. In general, coolants degrade over time as the ethylene glycol breaks down into primarily glycolic and formic acids. Degradation occurs more quickly in engines operating at higher temperatures or those that allow more air into cooling systems. The coolant should be tested on an annual basis if it is intended to operate the system for several years between coolant changes, and particularly where the coolant is used in severe applications. One test ensures the pH is still above 7.0. Some coolant technologies can protect as low as pH 6.5, however, it is typically not good practice to allow a coolant to operate below a pH of 7.0. Glycol breakdown products are acidic and contribute to a drop in pH. Once a coolant has degraded, due to glycol breakdown and pH drop, engine metals are at risk for corrosion. 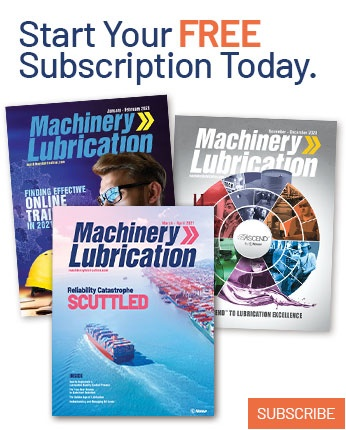 Coolant degradation can be slowed by using coolants with extended life inhibitors and by ensuring that the equipment is operating correctly and within designated design limits. Testing for corrosion inhibitors is another method of checking the coolant condition. While extended life inhibitors do not typically need to be tested as long as proper usage recommendations and correct fluids are used for top-off, conventional inhibitors deplete and need to be tested. Other than tests for nitire and molybdate, most conventional coolants need either continual supplemental coolant additions (SCAs) or lab analysis to ensure proper performance. Various inhibitors, such as nitrites and molybdates, are easily monitored using test strips. Because nitrites deplete rapidly compared to other inhibitors, testing for nitrite allows one to learn the coolant’s nitrite level, but nothing else. Some engines need inhibitors such as nitrites to be maintained at certain levels to offer protection against cavitation corrosion, which can occur in engines with removable cylinder liners. Nitrites tend to deplete rapidly in conventional coolants and must be replenished at regular intervals. Carboxylate-based ELC coolants typically have lower nitrite depletion levels because the carboxylates provide the required cavitation protection and therefore much longer preventive maintenance intervals. Automotive original equipment manufacturers (OEMs) now recommend the use of either a hybrid coolant or a full carboxylate ELC. Conventional, standard green coolants are absent from this picture. Heavy-duty diesel OEM recommendations have a wide array of possibilities. In the industrial sector, some OEMs require the use of silicated coolant, while others require silicate-free for heat transfer concerns. Similarly, some require phosphate-free to avoid hard water scale deposits. This scale tends to form deposits on the hottest part of the engine, which reduces heat transfer and can induce corrosion. Finally, some OEMs require the use of nitrites to protect against cavitation, while others have no such requirement. Because the phenomenon of cylinder liner cavitation is design specific, all engines are not affected in the same way. It is important to understand the needs of specific equipment. Coolants play a vital role in preserving the engine heat balance and protecting engine components against corrosion. An estimated 60 percent of engine downtime in the commercial trucking sector is coolant related. Regardless of the market in which the coolant is used, it is safe to assume that coolant education relating to product chemistry, use and ongoing maintenance plays a vital role in creating a productive and profitable environment. Using a high-quality engine coolant from a reputable supplier and following careful preventive maintenance practices will help ensure the proper protection of an engine.